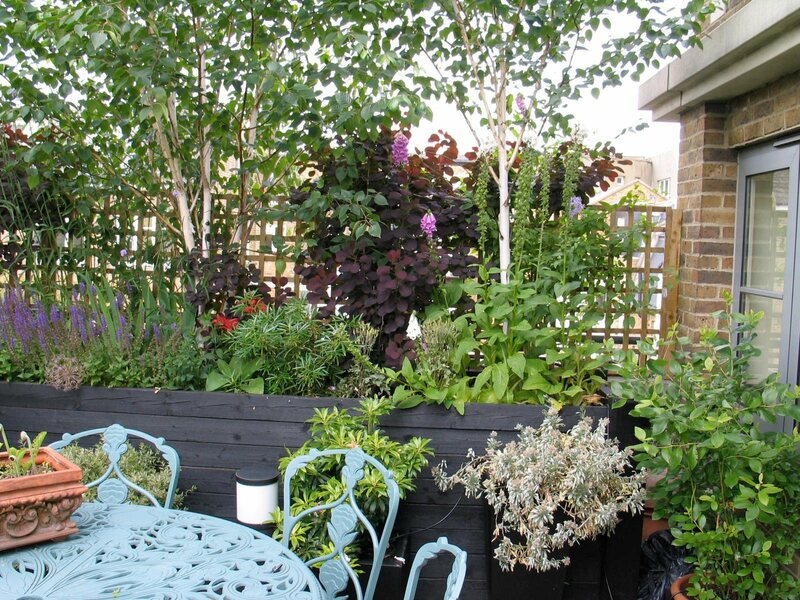 There is nothing like a roof garden, especially if the views are wonderful! 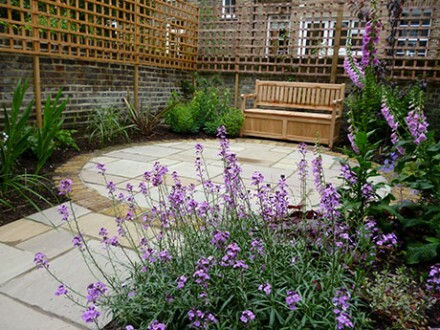 I make them, like all my gardens, in range of styles from modern to traditional. 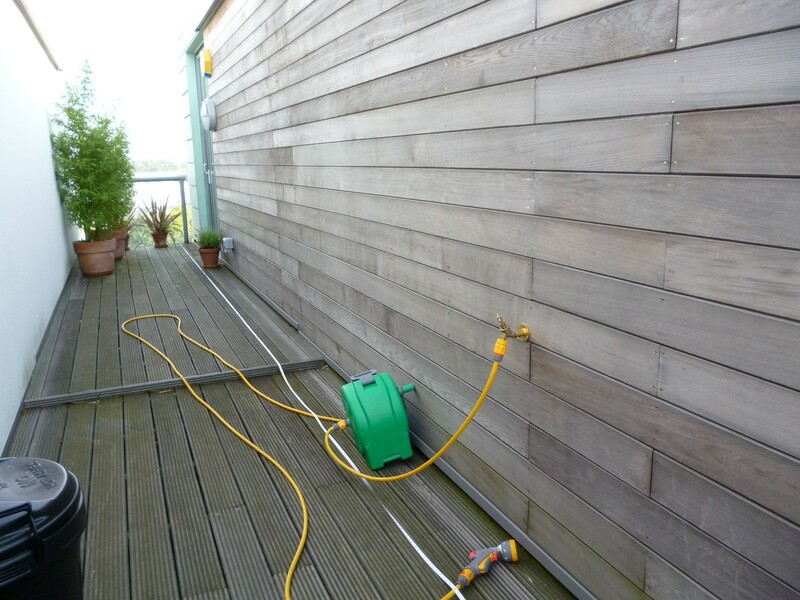 Care needs to be taken to make sure the roof will bear the weight of the flooring, planters, compost and plants; similarly the chosen plants need to be robust enough to withstand the wind, sun and rain they will be exposed to up in the sky. 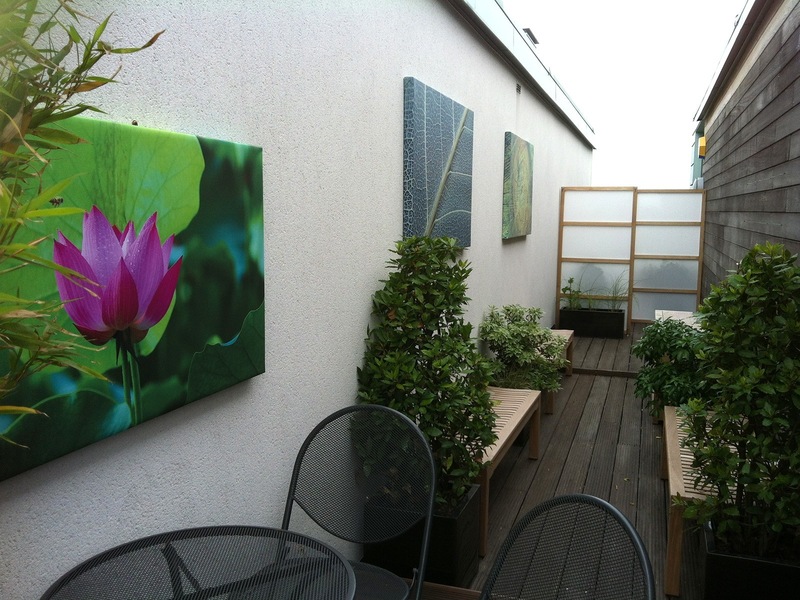 Traditional furnishing and planting on a penthouse roof in north London. 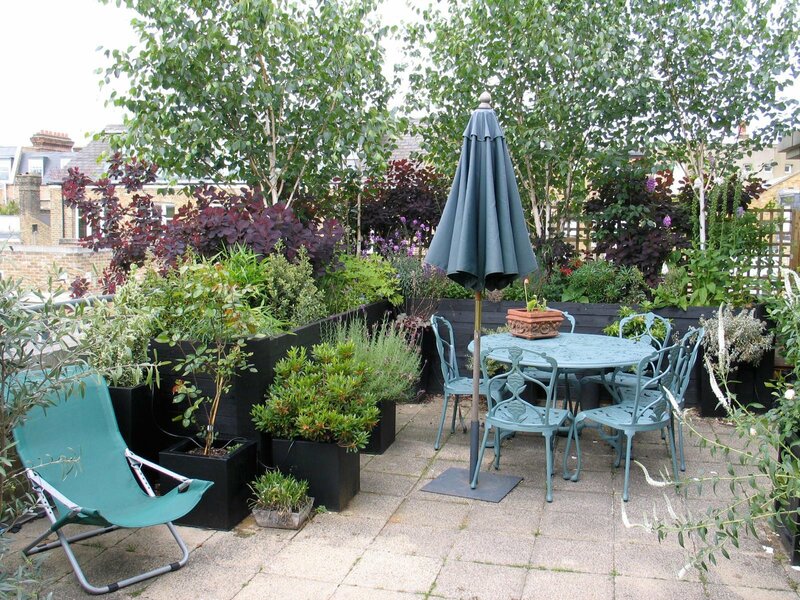 A wide range of perennials, shrubs and trees is planted here in large, black, wooden planters. 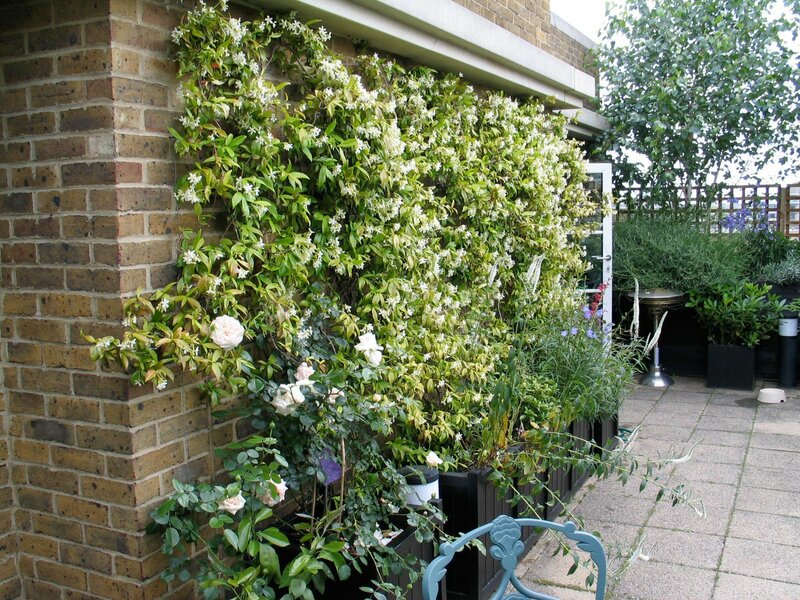 This star jasmine is thriving on the south-facing roof terrace wall. The design incorporates subtle lighting and an automatic watering system. 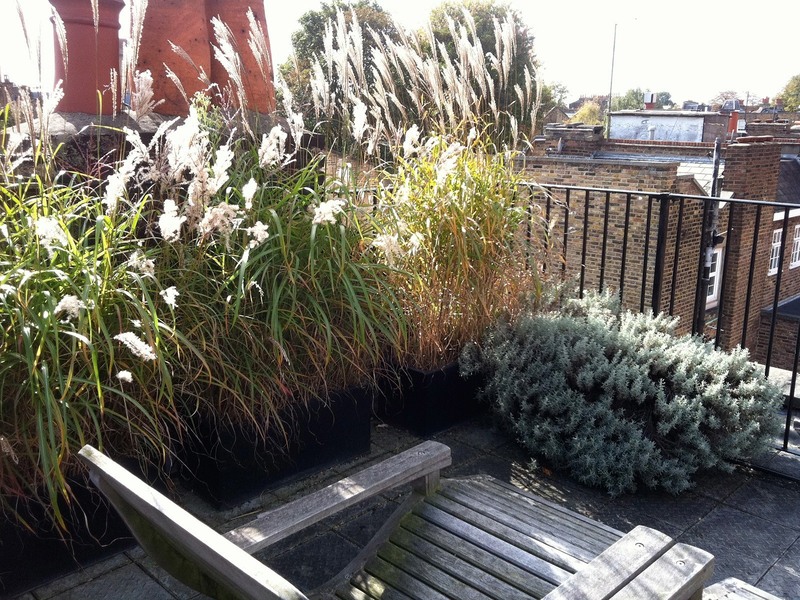 A tiny rooftop space shared with glorious ornamental grasses. 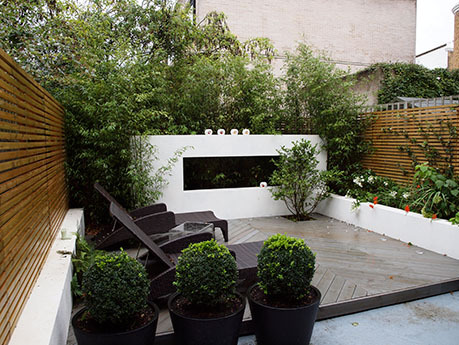 Making the most of a long, narrow space to create an interesting modern terrace - see below.